Appeared in a tube filled with smoke. Santi Cazorla was presented to Villarreal fans by a magician called Yunke following a second return to his former side. 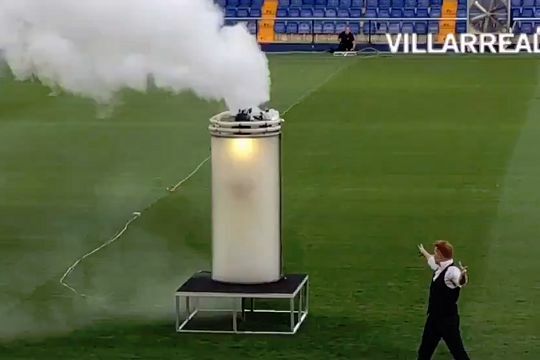 Suddenly appearing in a transparent tube filled with smoke to much fanfare, the ex-Arsenal midfielder was the star of a ‘The Magic Returns’ event held in his honour that was attended by a number of supporters on Thursday. Cazorla departed for Spain following six years at the English club before managing to secure a deal at Villarreal after proving his fitness in preseason, despite not having played a game in almost two years.